Twenty three years after the event, Joe, a young American photojournalist, is driven to discover the truth behind the unknown hero he captured on film in Tiananmen Square, 1989. 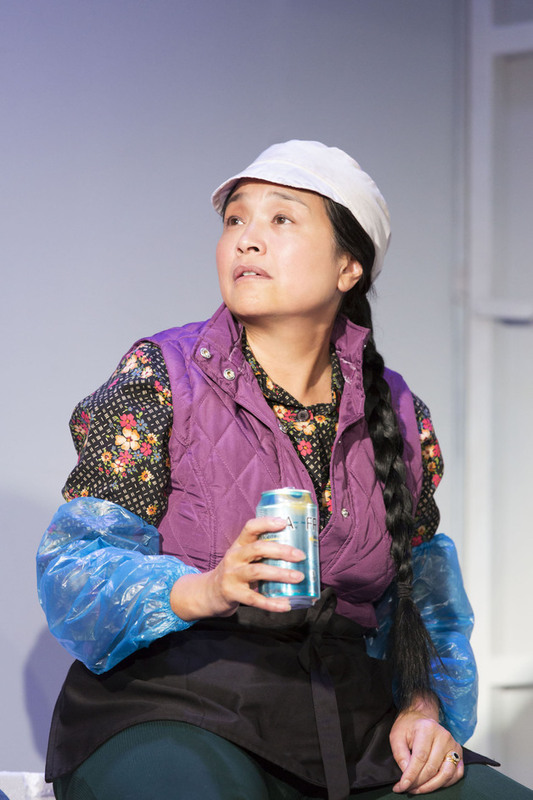 Chimerica, a new co-production presented by the Almeida theatre and Rupert Goold's acclaimed Headlong theatre company, written drama by Lucy Kirkwood (NSFW, Royal Court) gets its world premiere at the Islington theatre on 20th May 2013. This provocative piece which examines the changing fortunes of the two countries is directed by Lyndsey Turner ('Posh' at the Royal Court and the West End) who makes her Almeida theatre debut. The play, which runs until 6th July 2013, will be the final production at the Almeida Theatre under Michael Attenborough who steps down as its artistic director after 11 years in the role. What are the best dining options near Chimerica London? Chimerica gyms, sporting activities, health & beauty and fitness. The best pubs near London Chimerica. Chimerica clubs, bars, cabaret nights, casinos and interesting nightlife. Where to have your meeting, conference, exhibition, private dining or training course near Chimerica. From cheap budget places to stay to luxury 5 star hotels see our deals for Almeida Theatre hotels, including Hilton London Islington Hotel from 87% off.